1/35 German Jerry Can Model, set of 16 Discounts Apply ! 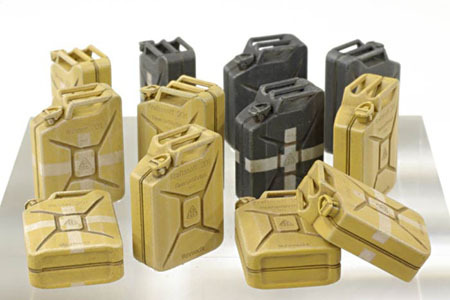 TAS35002 - 1/35 German Jerry Can Model, set of 16. Eight cans for fuel and eight cans for water. Some assembly required.